During the American Revolution, Vermont was a battleground that pitted loyalists and patriots against each other, not just on the battlefield but in quiet communities like Shaftsbury. Shaftsbury was the home of John and Mary Munro, a prosperous loyalist couple with at least seven children. They had moved from New York in 1767 and built an estate called Fowlis on land disputed by New York and New Hampshire. John left Mary and seven children on the property while he went off to fight the American Revolution -- on the British side. Patriots constantly harassed Mary. After they won the Battle of Saratoga, Mary fled through the wilderness to Canada. Though she survived and lived for another 38 years, she never fully recovered from her ordeal. John Munro, born in Scotland to a family of modest means, came to the colonies in 1756 as a Highland soldier. Stationed in Albany, he fought in the French and Indian war. For his service he received from New York a grant of land in Vermont, and he rose to wealth and local distinction. He may have had help from his wife, born Mary Brouwer, the daughter of a prominent Dutch couple in Schenectady, N.Y. 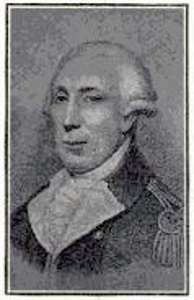 Appointed sheriff and chief magistrate in Shaftsbury, John Munro tried to enforce the land claims granted by New York. Unfortunately, those conflicted with the claims granted by New Hampshire. John Munro tangled with the Green Mountain Boys over the disputed territory. He famously captured Remember Baker, a cousin of Ethan Allen, but the Green Mountain Boys rescued Baker from prison. One legend has it that Seth Warner struck Munro on the head with his sword, but Munro’s thick hair and skull broke Warner’s weapon. Then as revolution loomed, fighting between the ‘Yorkers’ and the Green Mountain Boys evolved into fighting between loyalists and patriots. The New Hampshire grantees no doubt had designs on John Munro’s land, which included a manor house, 100 tenants, grain and lumber mills, a nail factory, an ashery and a pottery. Loyalists and patriots viewed each other with contempt. When the Revolution broke out, Munro joined the 48th Regiment of Foot, leaving Mary and the children behind. He recruited his own tenants and neighbors, and he spent his own money and farm stores to provision his troops. John Munro probably went off to war thinking the well-trained, well-equipped British Army would prevail over the patriots. But as MacNutt noted, “To the amazement of many the conspiracy succeeded." In 1776, the patriots seized John Munro and imprisoned him in an Albany jail for 18 months. They sentenced him to hang, but he escaped to Canada in 1777. In the summer of 1777, the loyalists and patriots had both failed to gain military advantage. The French had not yet decided to join the patriots. Gen. John Burgoyne had taken command of the British forces and, stationed in Quebec, came up with an ambitious plan to end the war. He would lead his army south and cut New England off from the rest of the colonies. That, he believed, would make it easier to end the rebellion. Meanwhile, the Vermont patriots seized the Munro estate and kept Mary and her children captive. They could stay in the house and keep two milk cows for the children, but otherwise they had little to eat. Mary sent an undated letter to her husband describing her dire straits. Then in the fall of 1777, the patriots defeated Burgoyne during two battles in Saratoga, N.Y., just 35 miles from Shaftsbury. Burgoyne surrendered his army and, in the war’s turning point, the French decided to give the patriots military support. 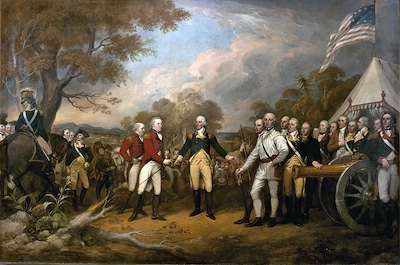 Loyalists and patriots: Burgoyne surrenders at Saratoga. Mary and her children had to flee. John Munro got permission for her to move to Canada, and she sold some silver plate she’d hidden to pay for the trip. First she went to Schenectady, where her family (presumably patriots) refused to help her. Then she traveled toward Lake George to join other loyalists on their way to Canada. They decided to lighten their load by getting rid of their food and most of their clothes. 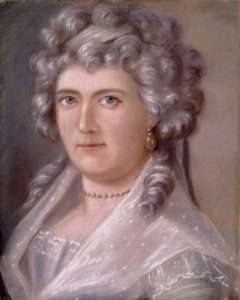 The Munros' eldest daughter, Christiana, in 1795, years after the conflict between loyalists and patriots. When they arrived at Lake George, they had to wait in the woods for six days, almost perishing of cold and hunger. Then three other families arrived, and together they persuaded the commanding officer at Fort Edward to give them a boat and a flag. A party of Indians discovered them and chased after them. Twenty years after her ordeal, her youngest son William wrote to his father. "For Gods sake keep a good store of nourishment in the house which is the only thing you can have to comfort you and my poor ailing Mother who has suffered so much for us all." Mary Munro outlived her husband by 15 years, however. They both died in Canada, he in 1800, she in 1815.